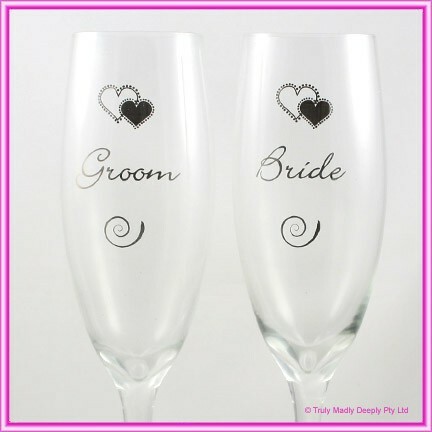 A beautiful pair of full sized wedding champagne glasses with print metallic silver hearts and the word bride and groom on each glass. 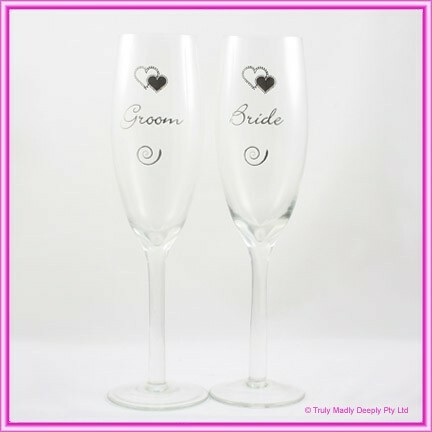 Comes in beautifully presented gift box with a white satin lining. 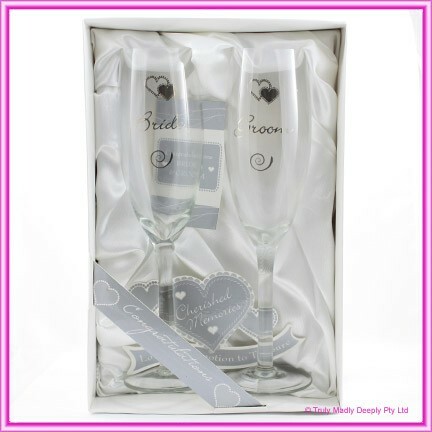 Comes in beautifully presented gift box with a white satin lining.